A consortium of Burung Indonesia, the Royal Society for the Protection of Birds and BirdLife International, established Hutan Harapan to protect and restore the biodiversity, productivity and ecosystem balance of 98,555 ha of dry lowland rainforest in Jambi and South Sumatra Provinces, Sumatra. PT Restorasi Ekosistem Indonesia (PT REKI) received the first ever ecosystem restoration concession (ERC) license issued by the Indonesian government in 2008. With support from international donors, financial institutions and business partners, PT REKI manages Hutan Harapan. 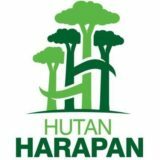 Hutan Harapan is offering a unique opportunity to join and shape this groundbreaking initiative. Hutan Harapan is pioneering an environmentally sustainable development of non-timber forest products to generate income for the concession’s operations, while generating employment and promoting local economic development. Reporting to the Director of Operations, this position will provide technical assistance to PT REKI in the development of a forest commodity business. This position is open to both national and international candidates. To provide technical assistance in the development of a forest commodity business that will generate revenue resources to support the long-term sustainability of PT REKI’s ERC, Hutan Harapan. f. Projections and return on investment over 15 years. • 1 year consultancy contract with possibility of extension. • Based in Burung Indonesia office, Bogor, Indonesia with monthly trips to Harapan, Sumatra. unique opportunity to join and shape this groundbreaking initiative. hours by car south of the city of Jambi.